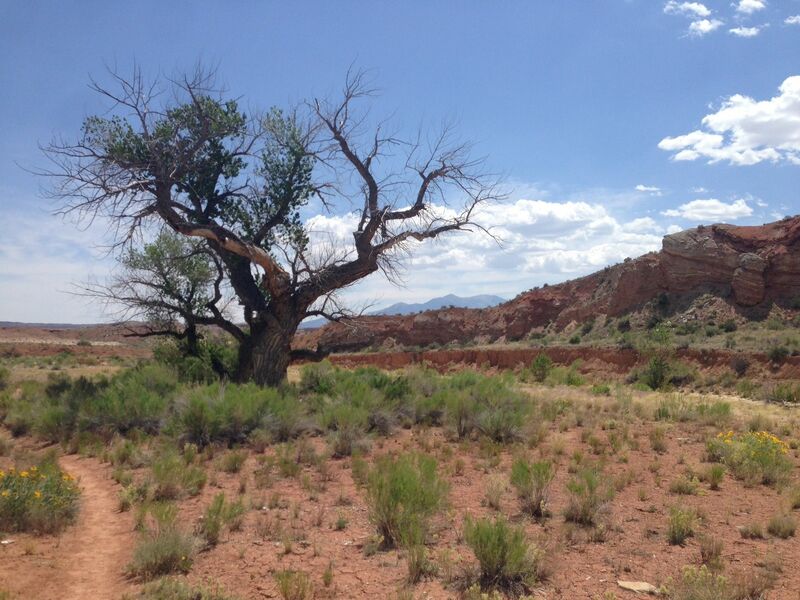 Looking for a great trail in Capitol Reef National Park, Utah? 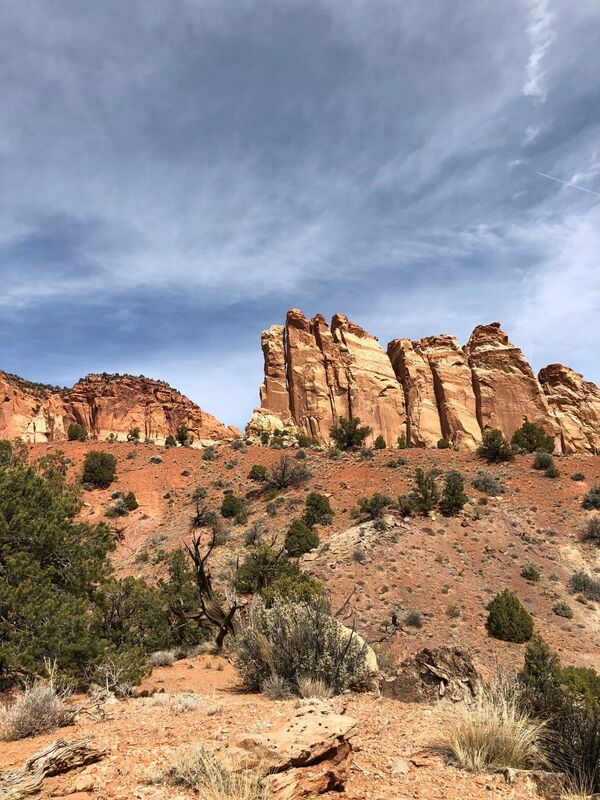 AllTrails has 43 great hiking trails, trail running trails, views trails and more, with hand-curated trail maps and driving directions as well as detailed reviews and photos from hikers, campers, and nature lovers like you. Ready for some activity? 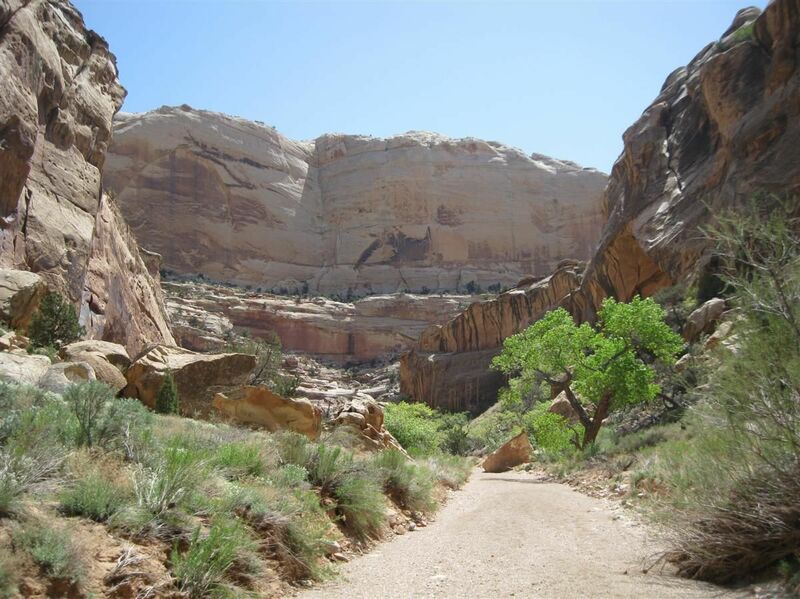 There are 24 moderate trails in Capitol Reef National Park ranging from 1.7 to 64.6 miles and from 4,803 to 6,994 feet above sea level. Start checking them out and you'll be out on the trail in no time! 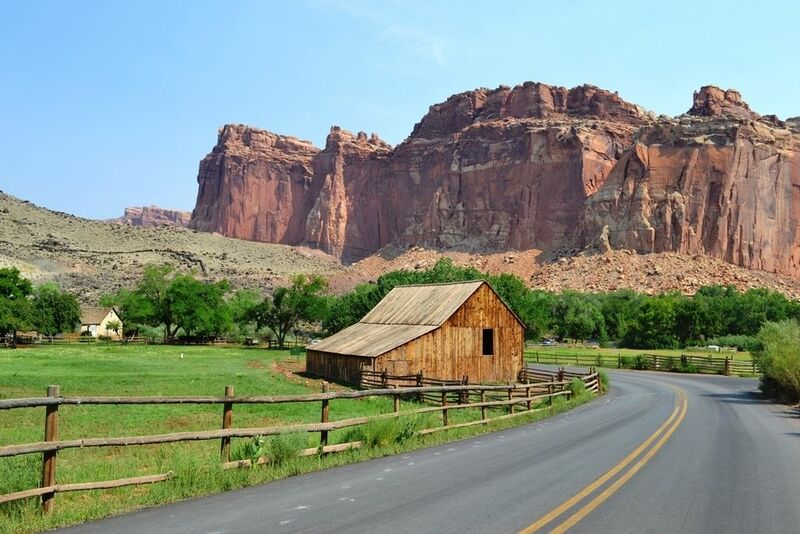 Capitol Reef National Park is located in south-central Utah. It is 100 miles (160 km) long but fairly narrow. 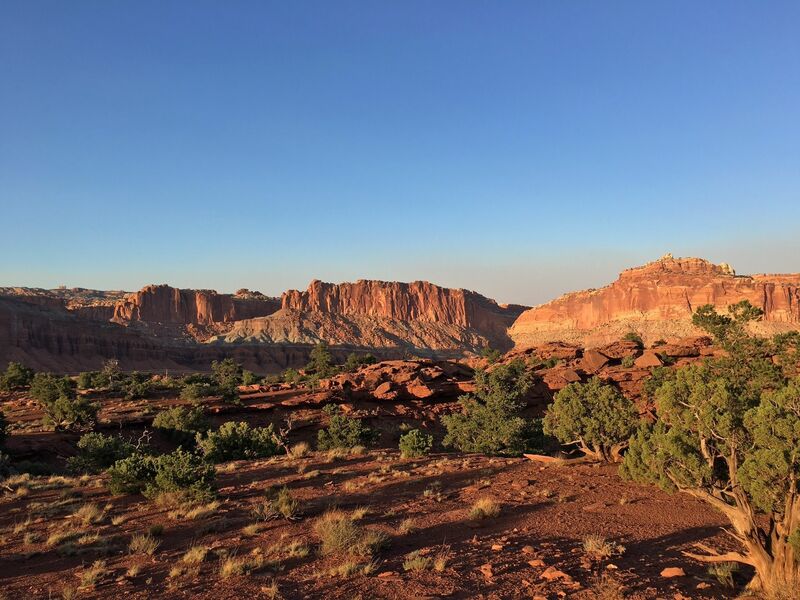 The park, established in 1971, preserves 378 mi² (979 km²) and is open all year, although May through September are the most popular months. 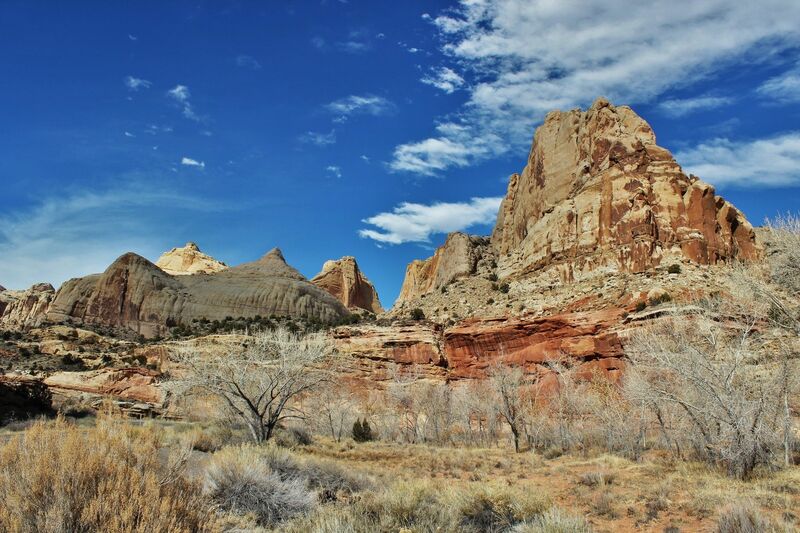 Called "Wayne Wonderland" in the 1920s by local boosters Ephraim P. Pectol and Joseph S. Hickman, Capitol Reef National Park protects colorful canyons, ridges, buttes, and monoliths. 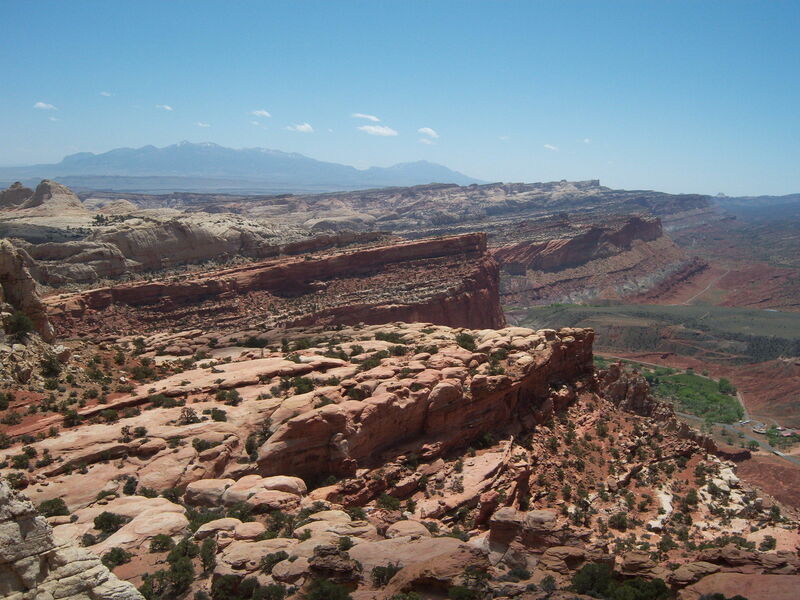 About 75 miles (120 km) of the long up-thrust called the Waterpocket Fold, extending like a rugged spine from Thousand Lake Mountain southward to Lake Powell, is preserved within the park boundary. 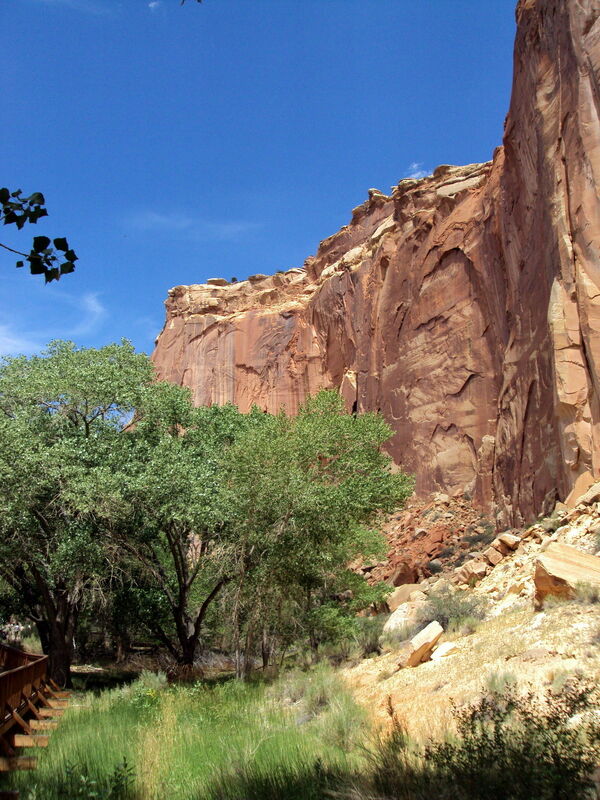 Capitol Reef is the name of an especially rugged and spectacular part of the Waterpocket Fold near the Fremont River. 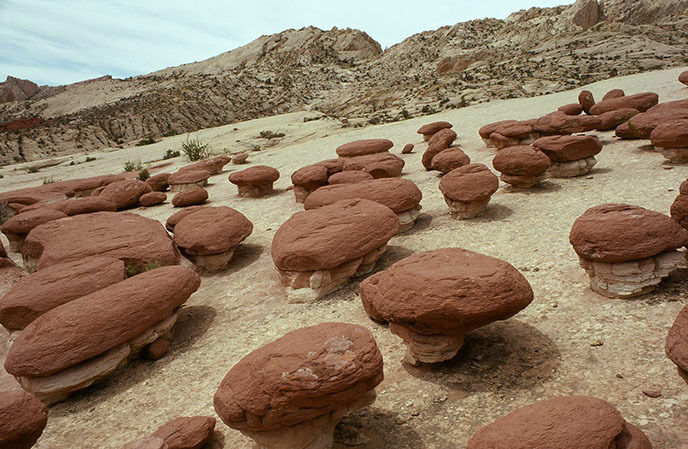 The area was named for a line of white domes and cliffs of Navajo Sandstone, each of which looks somewhat like the United States Capitol building, that run from the Fremont River to Pleasant Creek on the Waterpocket Fold. The local word reef referred to any rocky barrier to travel. Really short hike, but amazing views. Photos do not do the vastness justice. This is a really nice place to be around sunset. 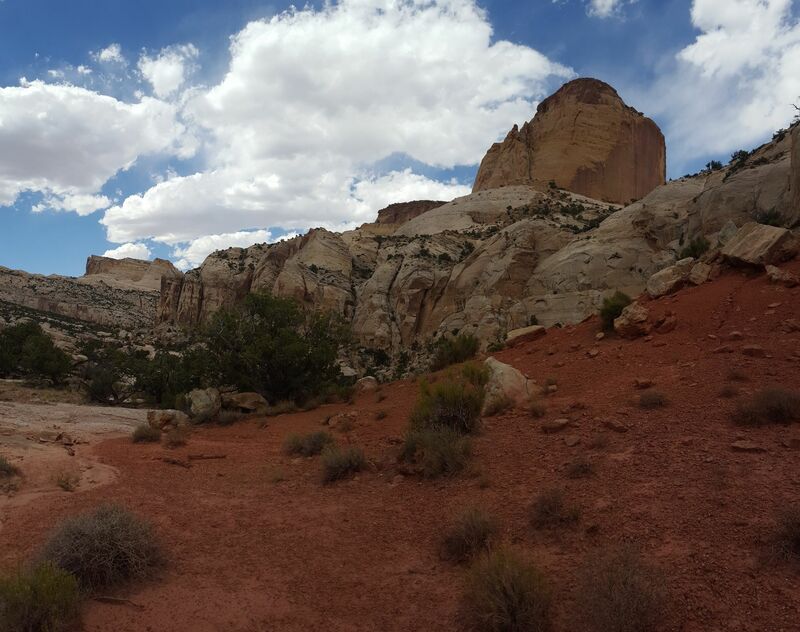 You can get some really beautiful panoramics of Capitol Reef. Panoramic Point is also here so don't forget to stop there. 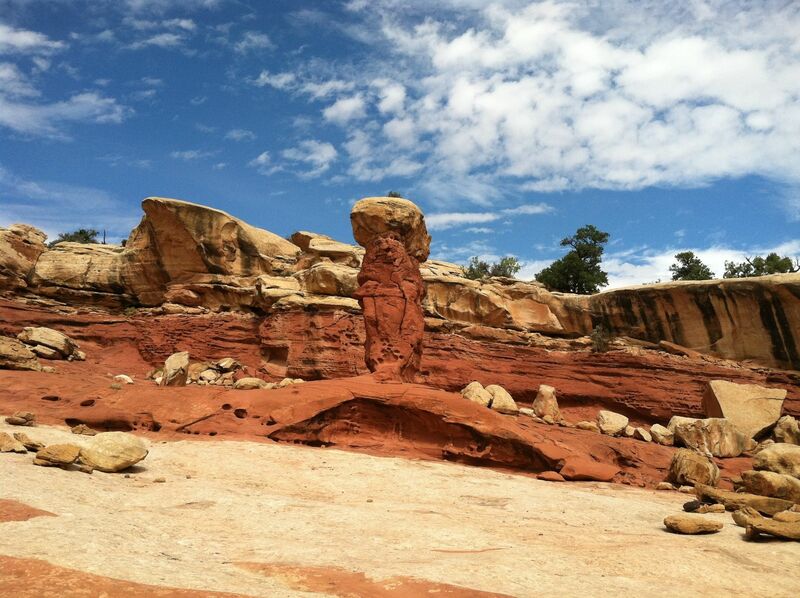 Watch kids closely on the Goosenecks, don't go too close to the edges because the rocks can break off. We hiked to the water tanks and back. It was mostly flat hiking, the water tanks are a little harder to climb up because you had to scramble up some rocks- follow the rock cairns at the top to find the tanks. You can follow a path to the back of the tanks or the front. There's 3 tanks with a small amount of water and a small arch, but they aren't too impressive. 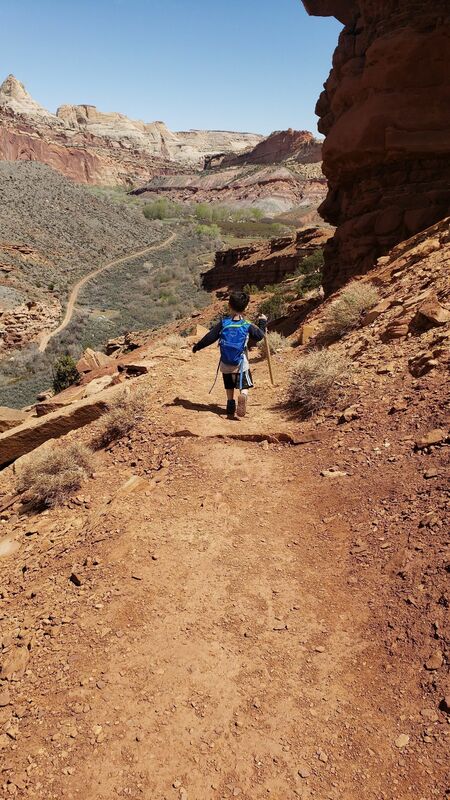 Still a fun hike for older people and younger children. 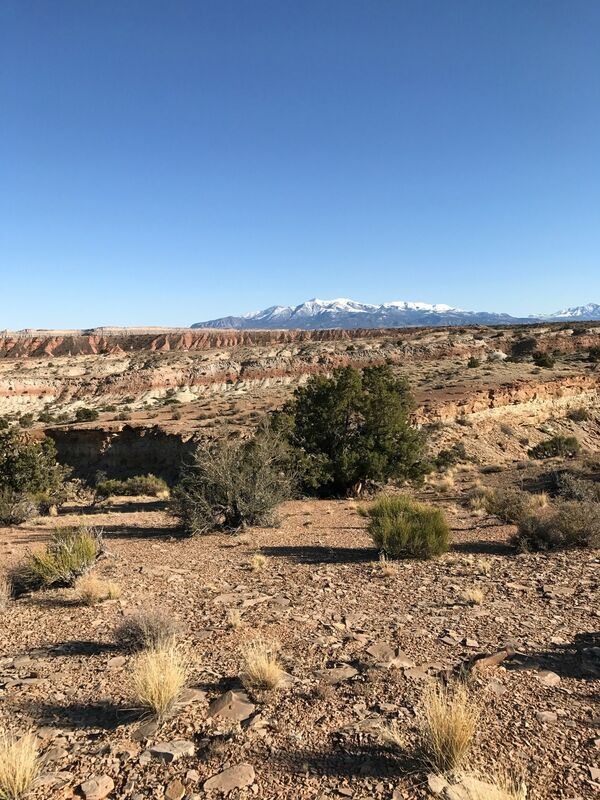 There are also petroglyphs and the pioneer registry along the way, but keep an eye out for them because they are not marked. 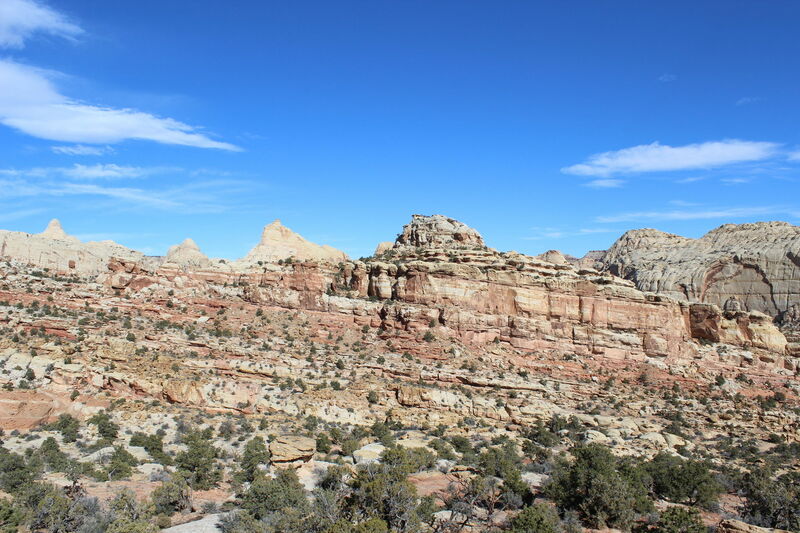 The registry is high up on the wall and we were told by Capitol Reef staff that they sat in a barrel and repelled down the walls in order to etch their names in. The poles that are sticking out of wall were also for street signs, telephone poles, electricity, etc. 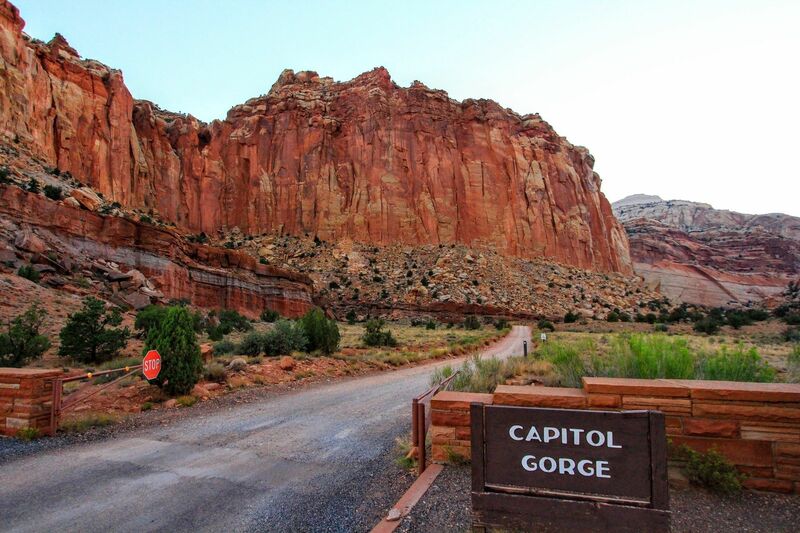 The Gorge used to be used as a road for the pioneers. For the 2 mi. RT hike, go to the visitor's center and walk behind the building to Sulpher Creek. We just follow the creek all the way to the waterfall. 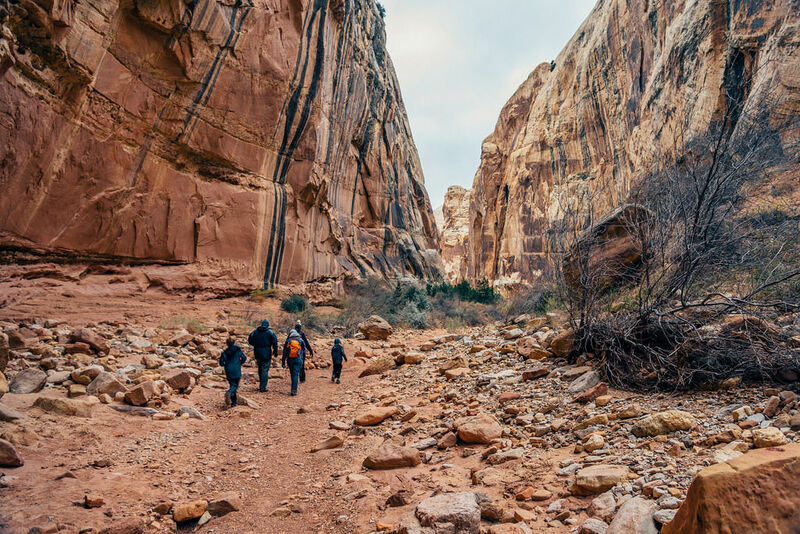 It's fun for kids to do this hike because they can walk through the water. 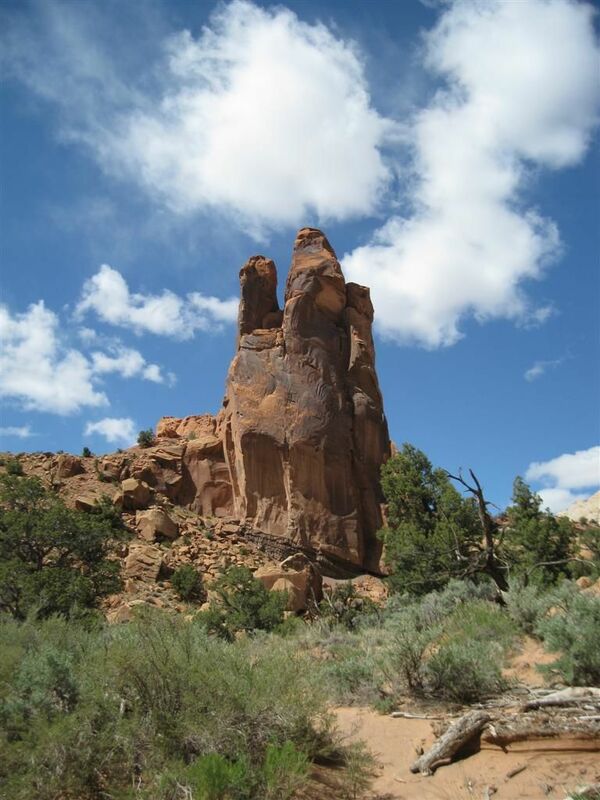 It's not too rocky and easy for for younger children and older adults. On the way back, we usually follow closer to the trail so we can see the kiln, but your can just follow the stream back if it's hot out. If you follow the trail, it will lead to a small waterfall. There is a rock to the right that is easy to climb and you can walk across the waterfall (hugging/facing the rock), it's pretty easy to get to the top of the waterfall this way. All of our kids were able to do it (ages 3-14). The younger kids will need assistance though. At the top there's a small tank that the kids love to play in. It's like a small pool. And the kids really like sliding down the top of the waterfall into the water. There's usually some fish by the tree roots they can look for too. It's one mile to the waterfall, so 2 mi. RT if you turn back here. You can keep going as long as you want, we tried to look for the second and third waterfall and got 2 miles in, but turned around because we try not to do more than 4 miles RT WITH KIDS because they start to complain too much. The sulpher doesn't really start until after the first waterfall though so if you want to see that, pass the first waterfall. 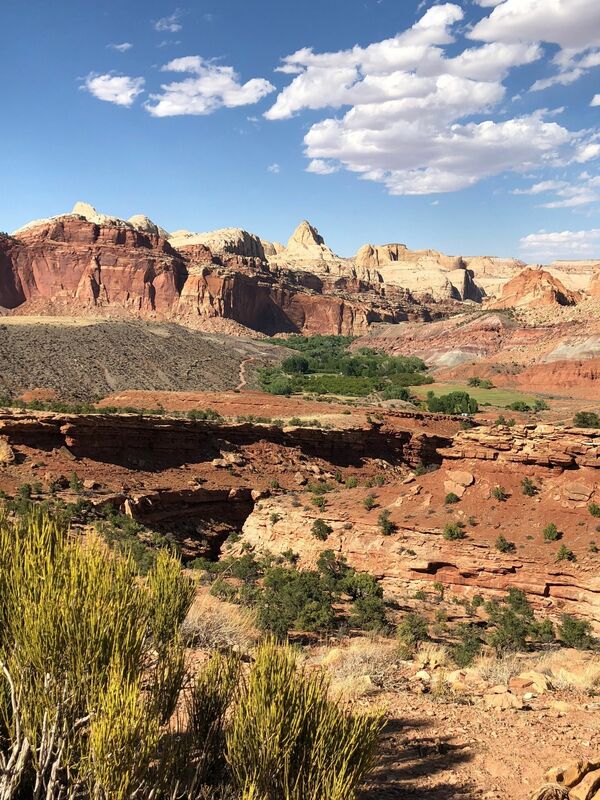 This is our kids' favorite hike at Capitol Reef and they always look forward to this hike so if you have kids, definitely check this one out! 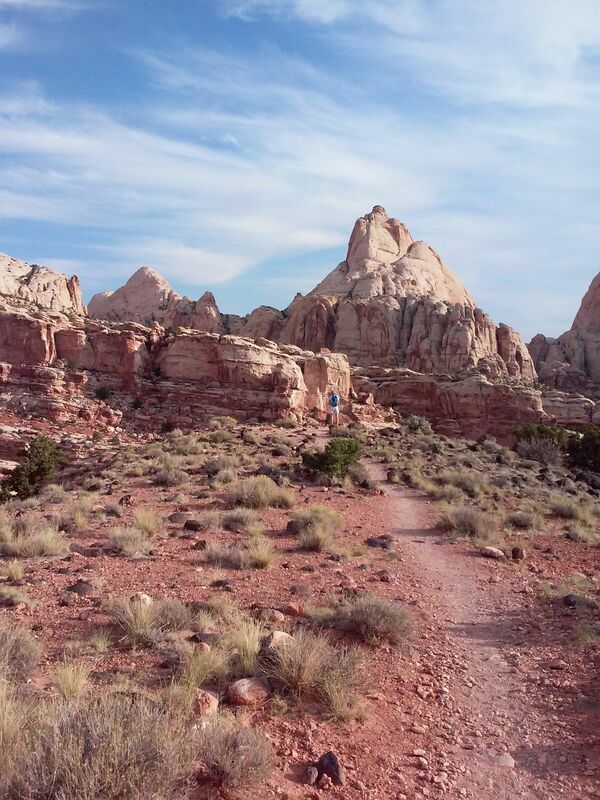 I would rate it as one of my easiest, seen prettier hikes too. I guess this was alright. The bridge is nice, but difficult to capture! it might be I was expecting a bit more. 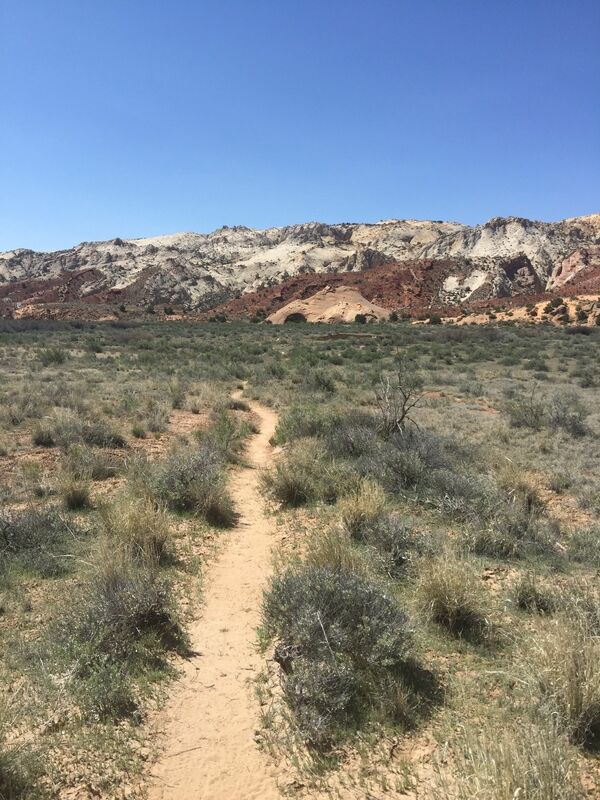 Great short trail. Beautiful bridge at the end. 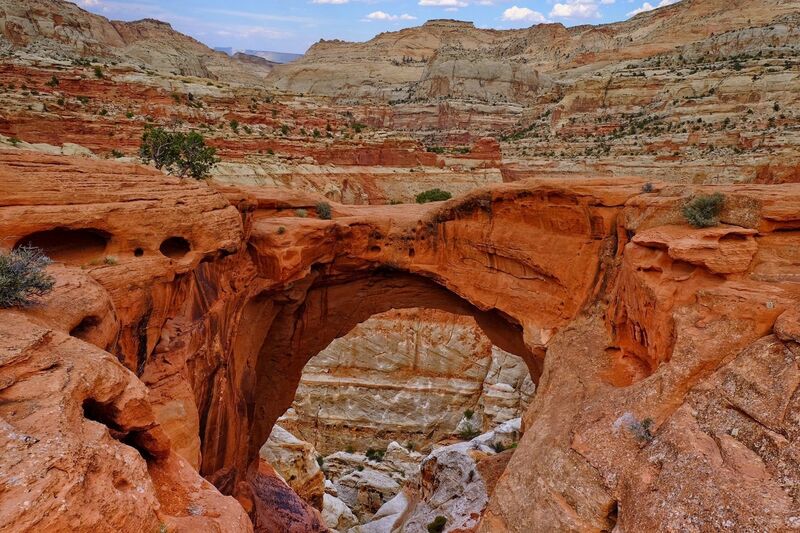 Great photos of the Natural Bridge after a steep hike at the beginning of the trail. Flattens out and after a bit. Worth the effort! 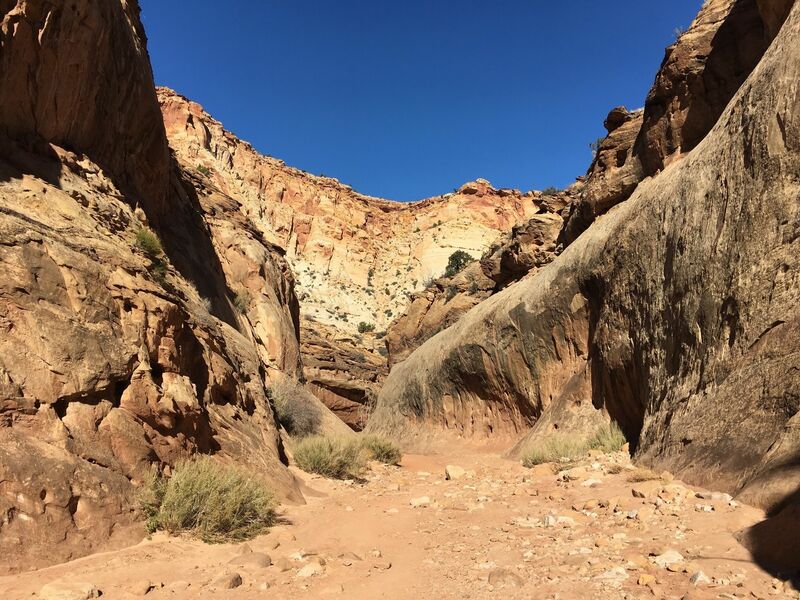 Nice hike along the wash. Not tough, narrows are amazing! 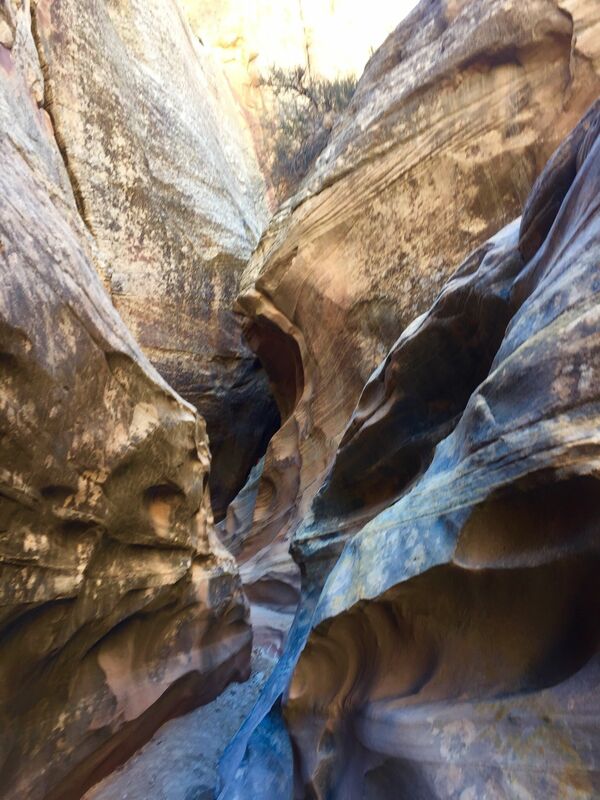 The canyon walls are impressive! Steep start but worth the view. The canyon is beautiful! Park near the grassy picnic area and cross the street toward Gifford House and you will see the trail marked. This hike was near the river (not through the river) which is a benefit for children to stop and play. 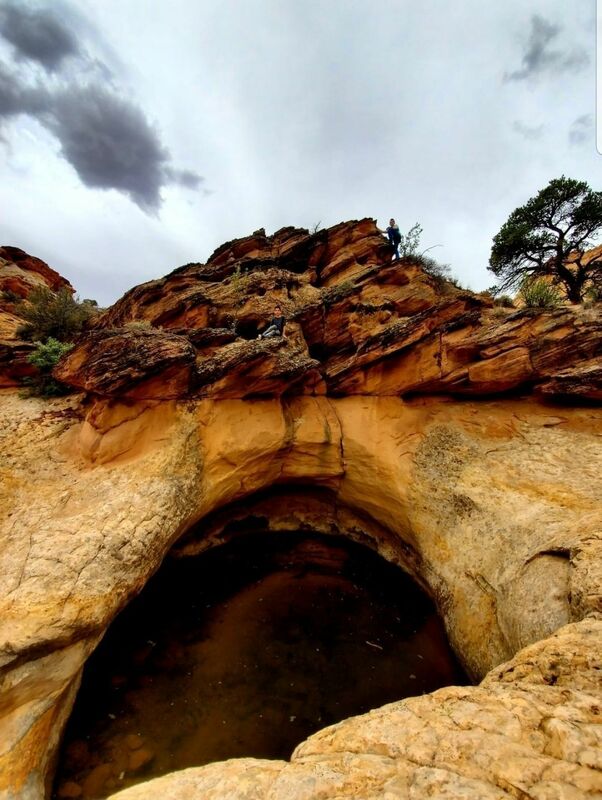 If you want a hike through water, check out Sulpher Creek Trail. My children also enjoyed playing on the rocks at the top. Most of this hike is actually along the mountain adjacent to the river, but it's safe enough for children. The footing is pretty easy, not too rocky. Definitely make sure you get to the end, at least the first viewing area. There are a lot of flat rocks for you to take a break and have a snack. We went midday and it was pretty desolate. There was a lot of wind that blew up the mountain and a good portion of the hike was in the shade to keep you cooler, but I would bring plenty of water. Also note, you can ride bikes and bring dogs but you can't bring them the entire trail, basically right before the mountain hiking begins. 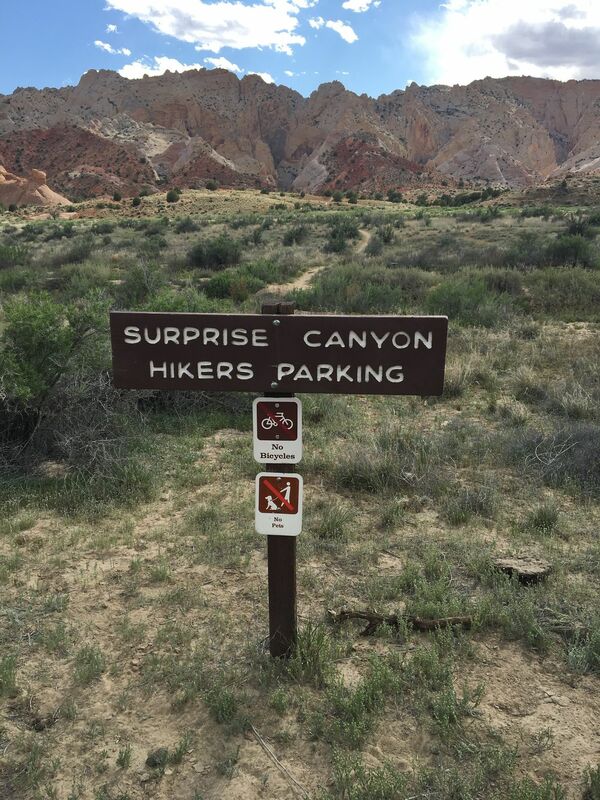 So don't bring pets if you plan on hiking this entire trail. You could possibly ride bikes up to that point and chain them up because there are wooden gates restricting you to bring them. Nice view of the arch, but pretty underwhelming if you've been to Arches. 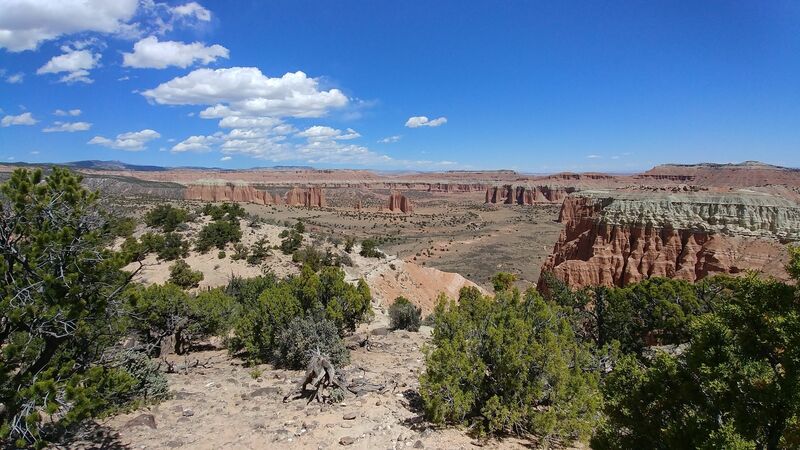 A lot of the trail is in the sun and it can get warm- make sure everyone has plenty of water in summer months. 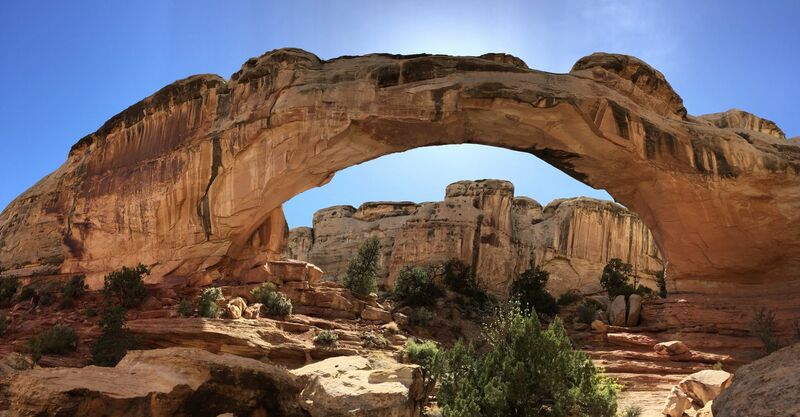 Great short hike to an arch. 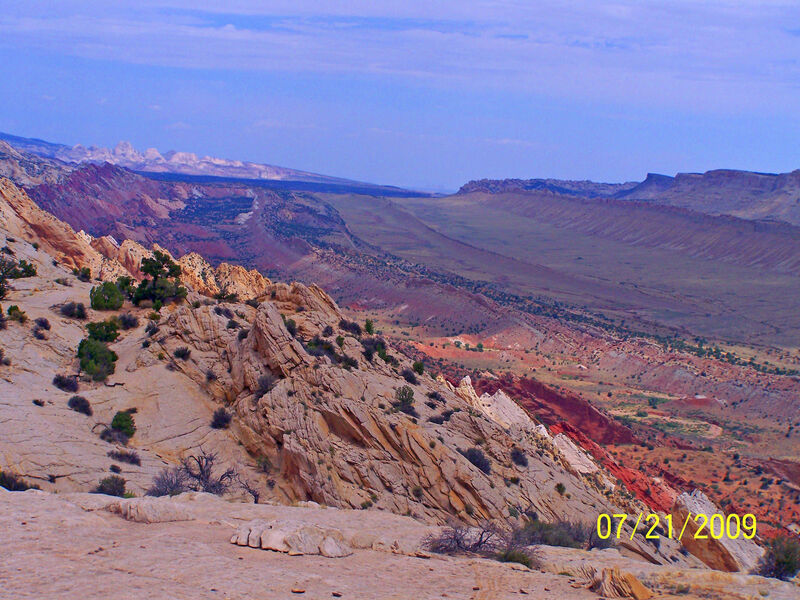 Wanted to squeeze in a hike before leaving Capitol Reef. Did it early morning before the sun's heat picked up. Took an hour up and about 40 mins down. The first half a mile is steep and rocky. The rest is easy with amazing views. Saw varying age groups on the trail. Take your time and enjoy the views! It almost got the best of me! I kept going and won... what an amazing sight to see! This was bleeping hard!! easy to follow trail, 1st mile is a bear, after that its a breeze. Great views all the way around. Great hike. About 9.5 miles round trip with a rock scramble at the end. Do it! Amazing panoramic views of the park. 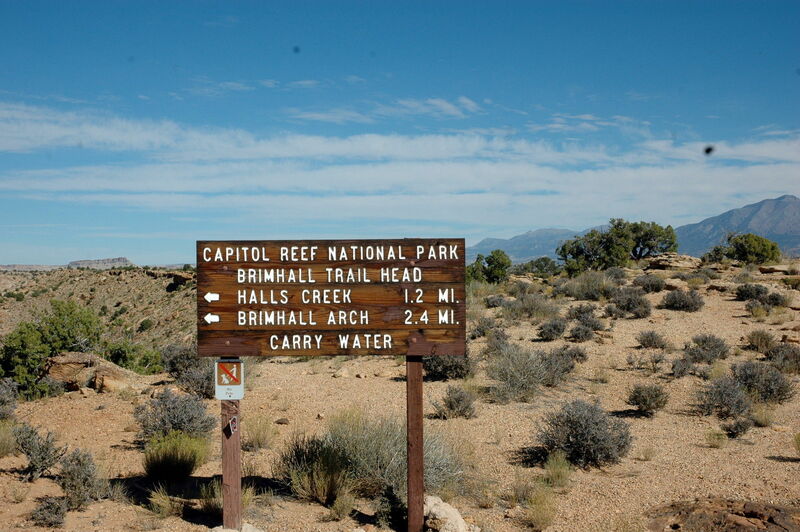 The last 2.4 miles are fairly easy compared to the hike from the parking lot to Rim Overview point. Mostly exposed so start the earliest you can. Took about 5 and a half hours including numerous breaks to take in the views and a few pictures, and a half hour lunch break. Lightly trafficked so if you're hoping for peace and quiet this is your deal. 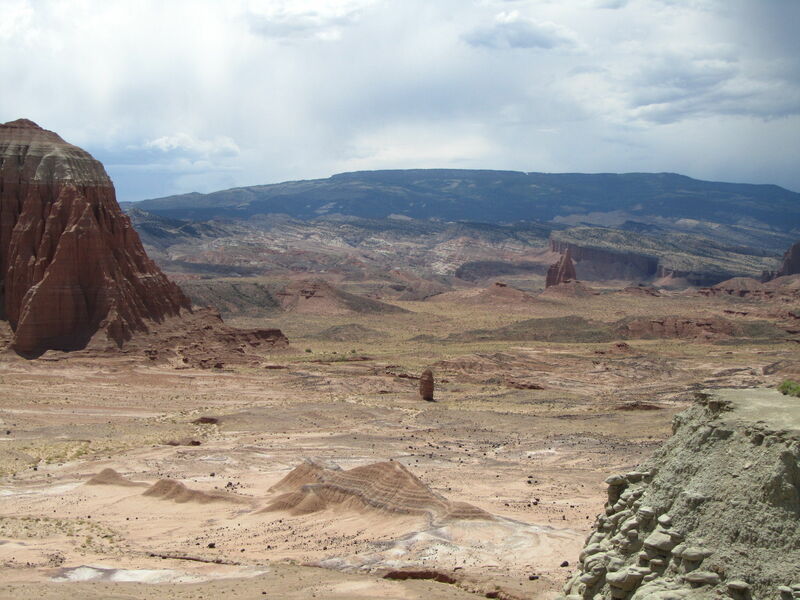 Did this trail after hiking Navajo knobs. 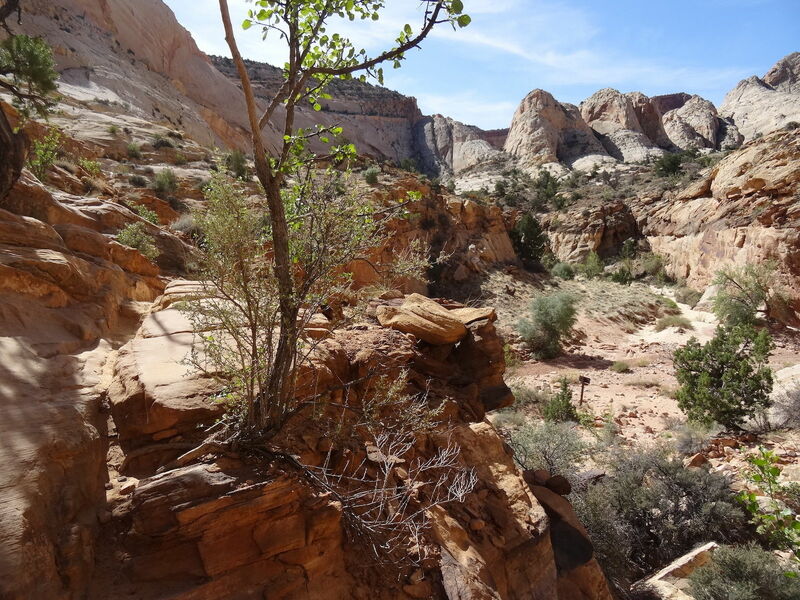 Easy walk on a dry river bed. Barely any incline. Accommodating for all hiking abilities from little kids to elderly people. 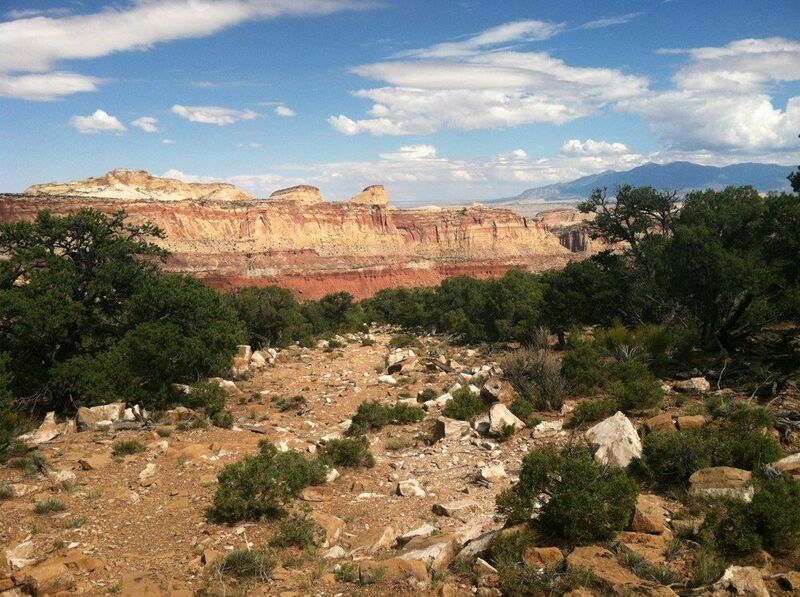 Check weather forecast at the visitor center and avoid it if there is a chance of rain upstream. love a loop. 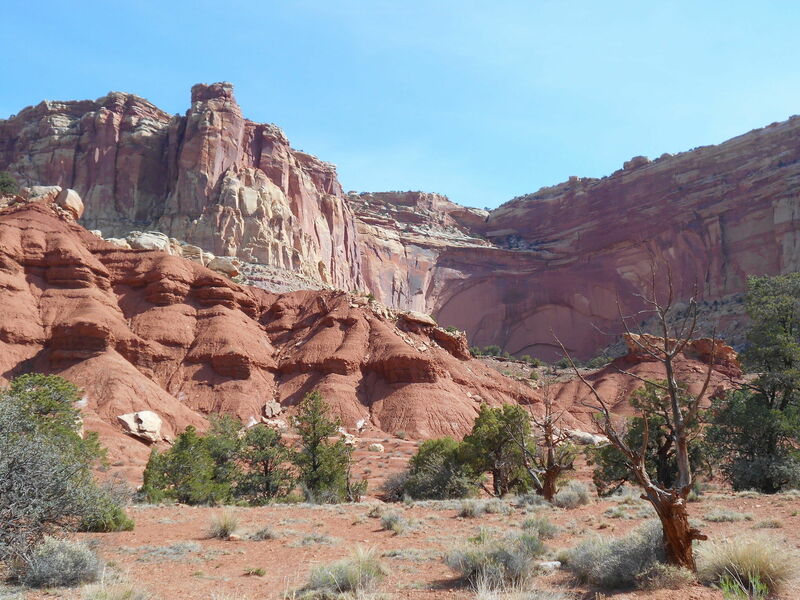 it's a weird hike with lots of unique vistas of the park. 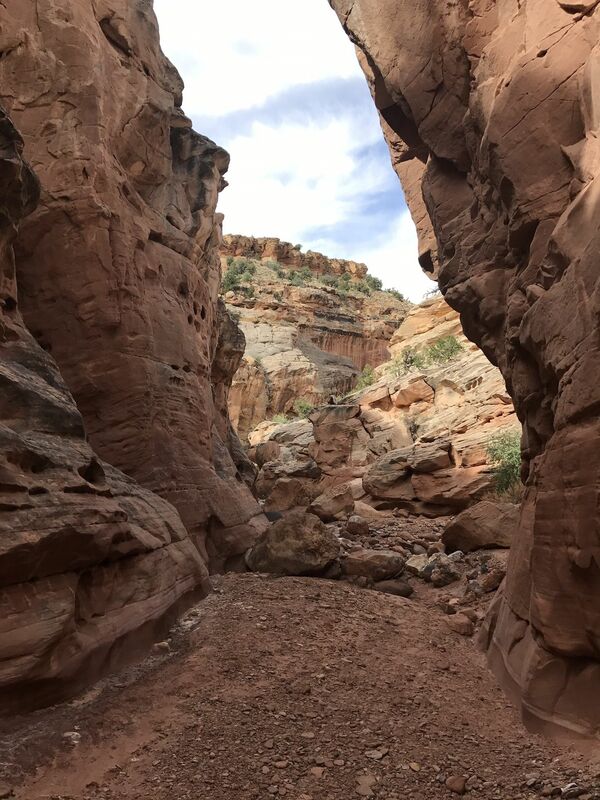 Great short hike to an arch. I would not stop moving till you get past the overhang at the very beginning of this hike. Carry all your water. 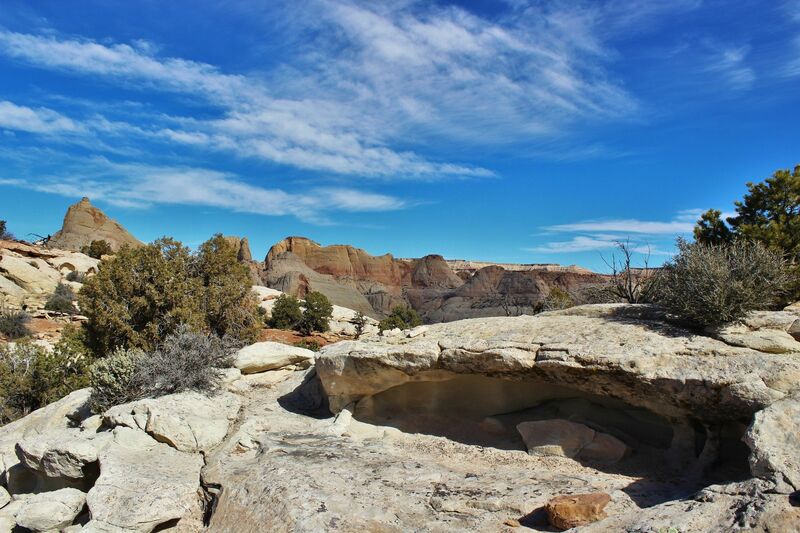 Some nice canyon views out the back side of the arch. Some exposure so watch your step. I’ll add some pics. 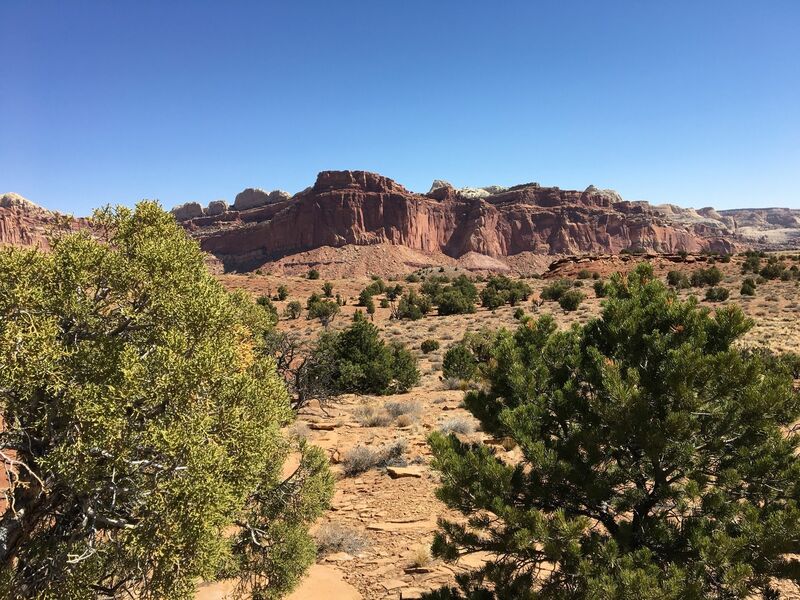 Amazing hike, read the reviews here first. Great to get beyond the nerd barrier and crush some KMs. Easy, safe scramble to the summit, even for spooked cowards like myself. A fun, well-marked hike. A surprise red boulder playground/gallery awaits you around one corner! 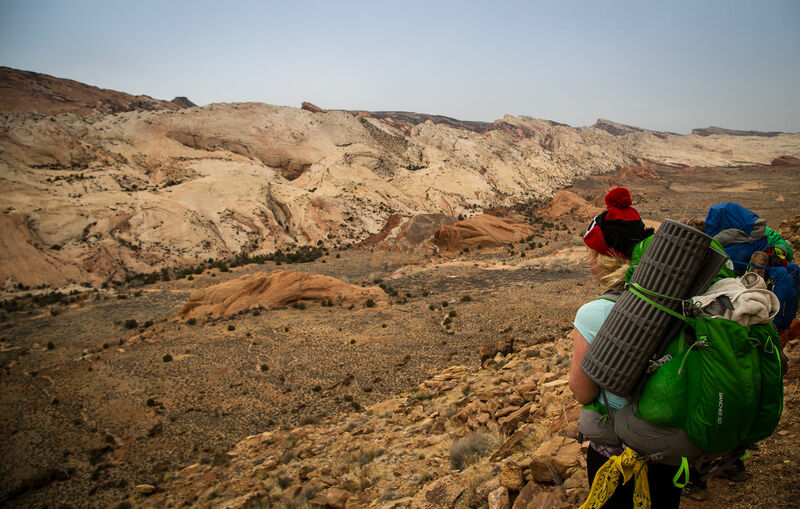 One of my favorite Capital Reef hikes. 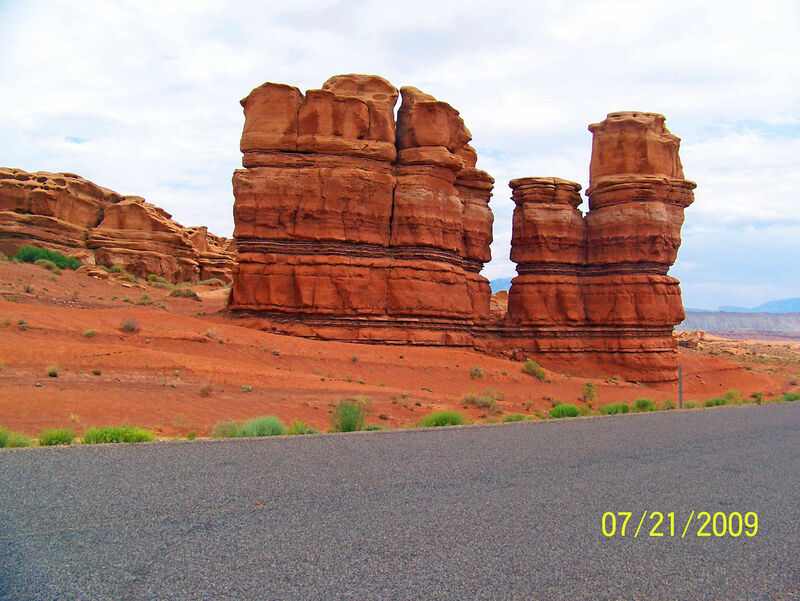 Beautiful rocks and other natural beauties all along the way. Nice climb. You follow rock cairns the last leg of the journey and when you think you have reached the end where there is a cliff edge, turn around walk a few paces back and look down and Wala! You see the arch! Nice second hike for the day. 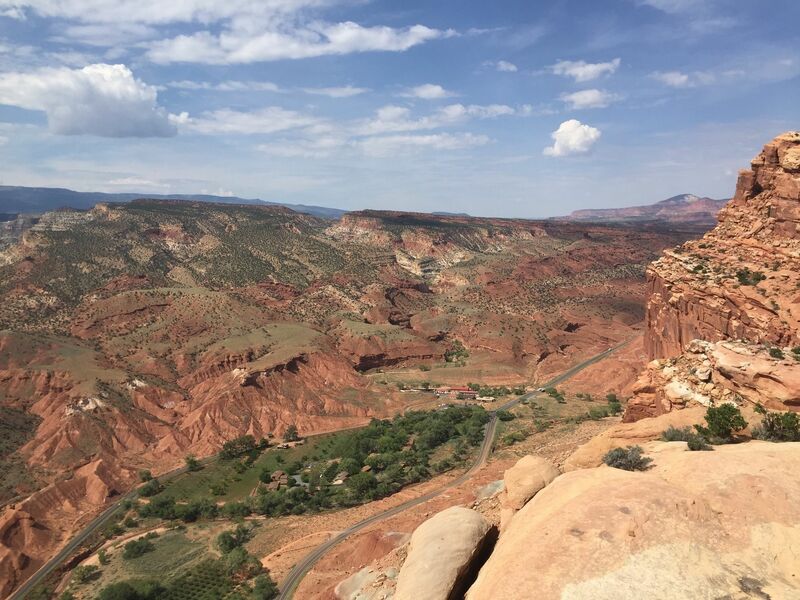 Defined the terms"up" and "exposed" if you are not a frequent cliff hiker. Worth the effort. Start early before the afternoon winds. You will be thrilled. 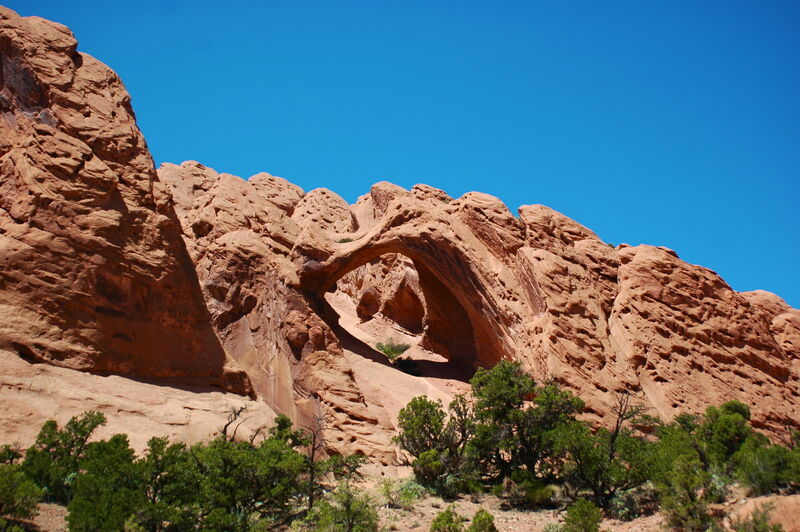 Great short hike to a very nice Arch. 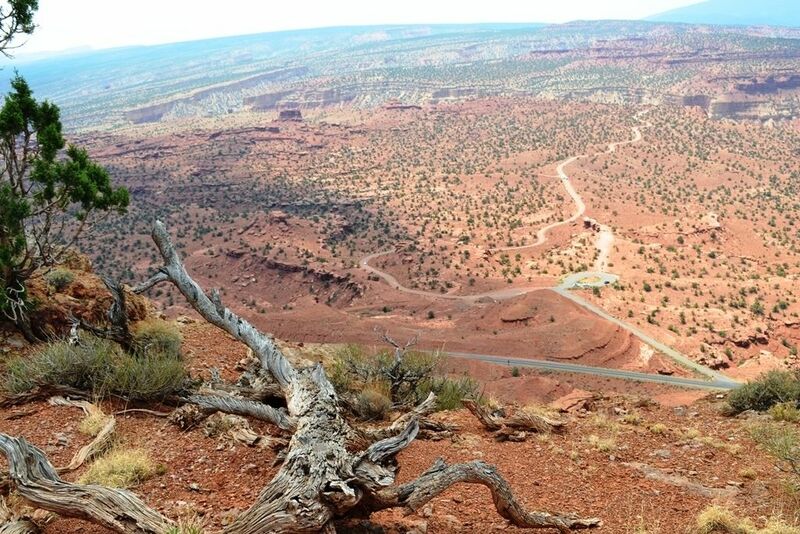 Lovely views at the top as you work your way back to trail junction? 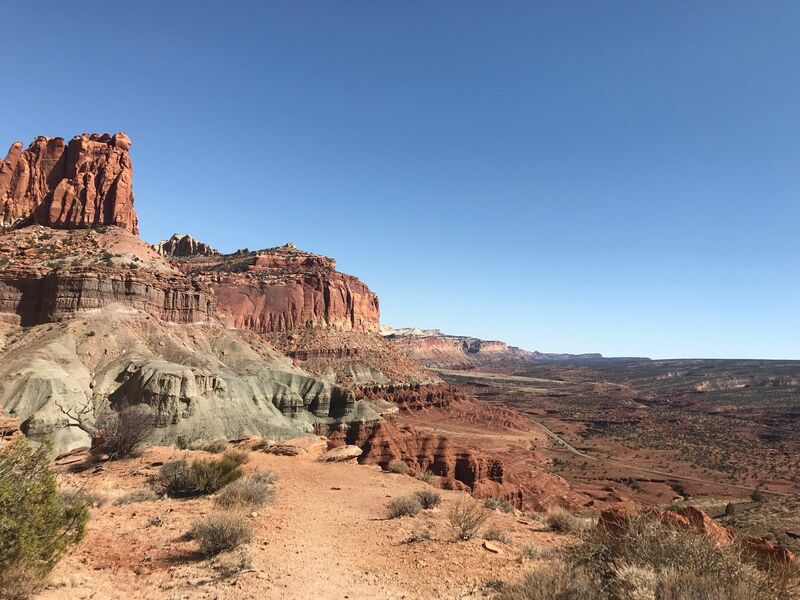 Greg Simister recorded Grand Wash Trail via Capitol Reef Scenic Dr.
Grand Wash Trail via Capitol Reef Scenic Dr.